Doug over at the Pegu Blog reminded us that we still had unfinished work when it comes to understanding cocktails on the internet. Consider this little gem from the Google Trends Dept. It shows that the searches for ‘cocktail’, and ‘martini’ are positively correlated around the end of the year. What does that mean? New Year’s Eve is our analysis. And of course, dear readers, you’ll be wanting to know what the best drinks are to have for this most festive time. Fear not. 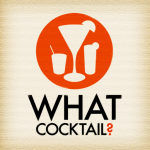 Understanding Cocktails will be here to provide you with insight and maybe a little bit of attitude – you’ll need it. Send us some comments or email us and we’ll get this ball rolling.